I’ve gone once or twice to the Monrovia Hash recently – no, not some seedy drug den! Anyone who’s been an expat in a British influenced place probably knows the hash – the running club with a drinking problem. This past weekend the group organized a trip on the train towards Bong Mines – we rented the whole two cars, and had one ‘open’ car with a bunch of plastic chairs (a lawsuit waiting to happen in the US) and the ‘indoor’ car which has the run-down, dilapidated (and as I found out, roach infested) seats. We traveled for about an hour, got down in a small village and did our run, then set up a huge BBQ. They ran out of water, so I just drank beer! Tired and sweaty, we piled back on the train and went home – I was COVERED in soot by the time we got back! I loved the sign on the window of the train – it lists out the prices for passengers and their cargo, but goes so far as to distinguish between the price of cats/kittens, ducks/ducklings, goats/nannys, etc. Good to be precise! 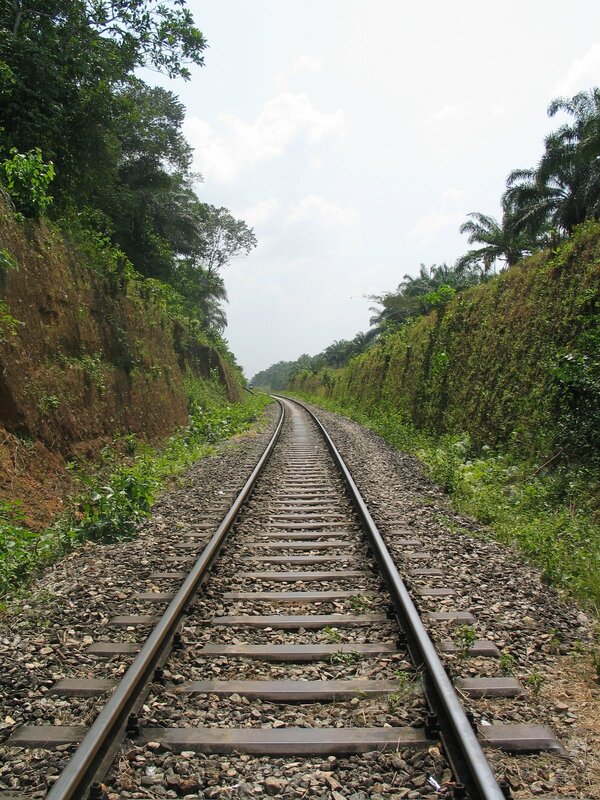 It was a neat little trip – the railroads in Liberia at one time spanned most of hte country, but were largely destroyed during the war as they were used to ship government troops to the fighting areas, and the towns around them were pretty much destroyed. There is talk of rebuilding them, which would be huge for private investment and farming, as it would allow the iron ore, food, rubber and other goods to by-pass the TERRIBLE roads and get their products to market much more efficiently. how do you find the hash in liberia. I am in Monrovia (usually in Nimba) and trying to hook-up with the hash. IHOV’s phone number occasionally works there in Monrovia, and she’d like to join you. Email me at thesteveoknows@yahoo.com and I can put you in touch with her directly if you want.